If the references to snacks don’t resonate with you, that means you should probably book a lesson. Pizza is the triangular shape that beginner skiers make before graduating to the french fry shape which means their skis are parallel. These are foundational concepts you’ll soon learn. 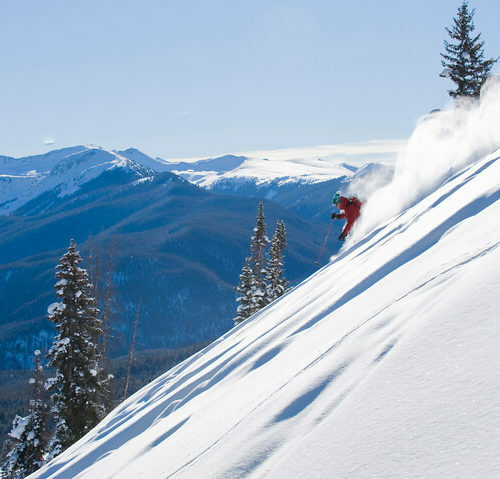 Aspen’s four mountains have something for everyone, but not all mountains are created equal. 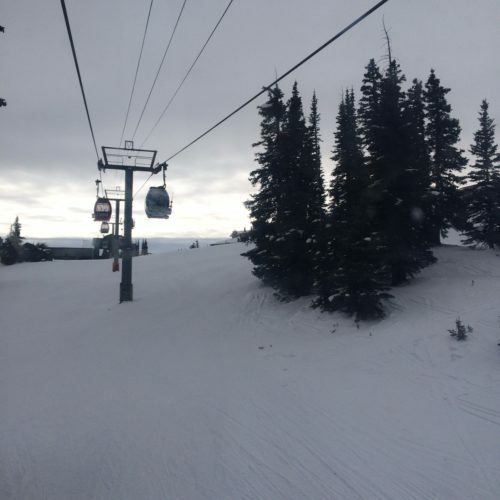 Take Aspen Mountain, or Ajax as the locals are apt to call it. It’s the crown jewel of our little town and it’s hard to miss. Situated in the center of town itself, Ajax is a true skier’s mountain. It’s steep, fast, and not for the faint of heart. Take a look at the trail map and you’ll notice that there are no beginner runs. That’s because there are no beginner slopes, and there is no beginner terrain. Not to get overly serious on you, but if you’re starting out as a skier, there are much options to choose from. Take Buttermilk, I mean just the name Buttermilk vs. Ajax gives you some indication of what’s in store for you there. Buttermilk is mellow, it has cute kids runs in the trees, it has an area called “Panda Peak.” Buttermilk is THE place to learn how to ski. From group lessons with others your age and ability level to private lessons with the top ski pros in the world, Buttermilk has something for every beginner. And then there’s Snowmass which is our most versatile mountain by far. There are steeps and cliffs for the adventure-seekers in your crew, and a dedicated beginners area for those newbies to the sport. 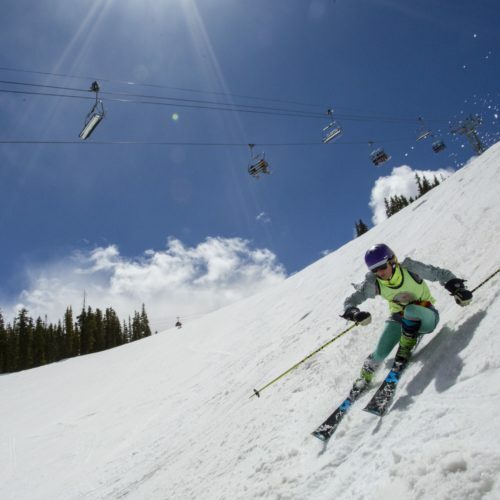 My friend Casey Miller has been a ski pro there for years, and she has some great advice. And might I add, it’s worth every penny to go with an instructor rather than learn for a friend or loved one. It’s safe to say that the ski pros of Aspen/Snowmass have saved more than a few relationships. Casey likes to help people get the basics down and then helping them move up to the blue runs on Elk Camp. 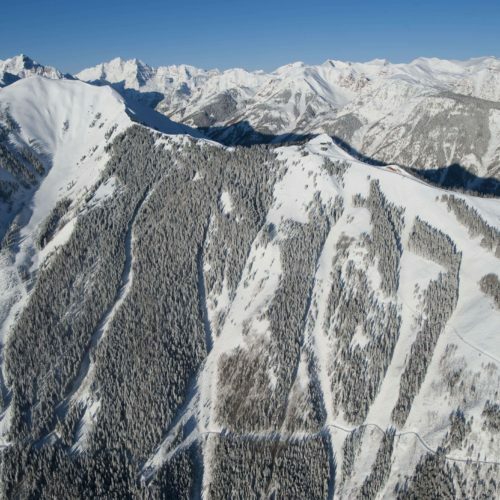 Finally, there’s Aspen Highlands, home of the infamous Highlands Bowl. That Bowl alone might scare you, but with some solid basics acquired on Snowmass or Buttermilk, Highlands is a natural next step. Keep that trail map close, and don’t hike up the Bowl (or anywhere else for that matter), stick to the green runs that are clearly marked in the middle area of the mountain. Just watch out because expert skiers are often zipping by. 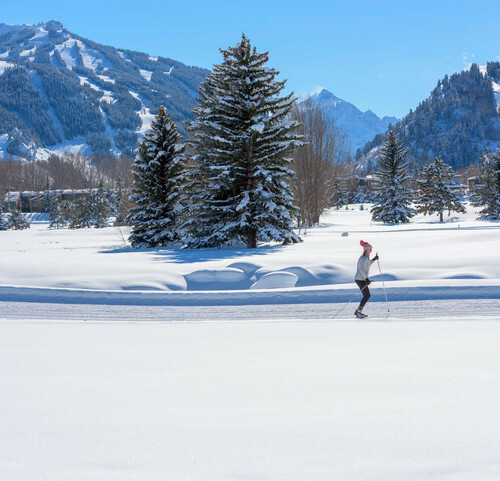 With bluebird days, moderate temps, and zero moisture in the air, Aspen/Snowmass is the ideal place to become a skier. And when all else fails, the easiest part of skiing to conquer is actually apres-ski. Head to the bar looking all official in your new gear, and order whatever the local next to you is having. Maybe he or she will offer to give you some tips. 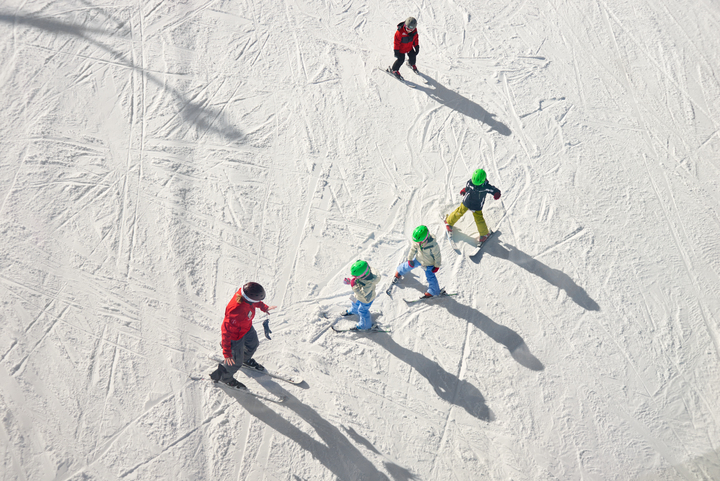 Want to learn to ski? Don’t be shy, Limelight Hotel has some serious deals.